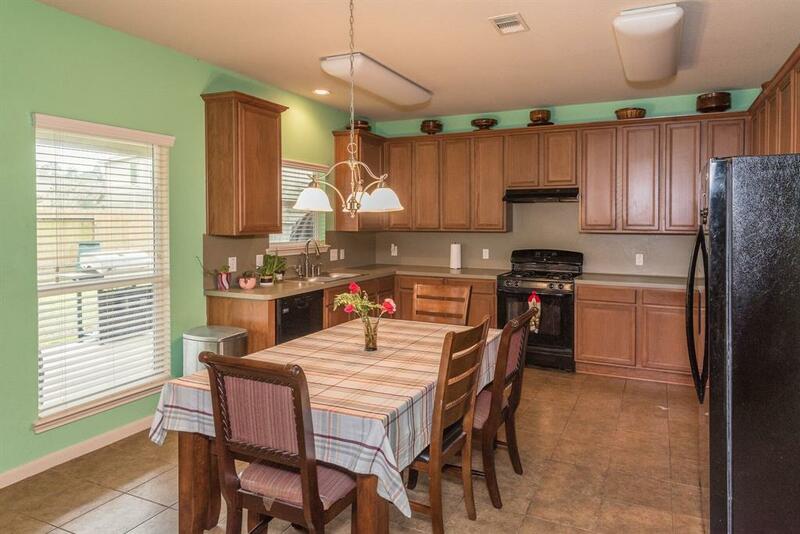 Beautiful, well maintained and spacious 2-story home located in Woodhaven Forest Subdivision; This home has 3,343 square foot; large fenced back yard; spacious covered back porch with ceiling fan for plenty of room for entertaining; (5) large bedrooms, (3) full bathrooms and half bath room; Large game room; (2) car garage door with parking for (3) vehicles or a workshop; Formal separate dining room; Fireplace is wood burning as well as gas logs which will remain with home. 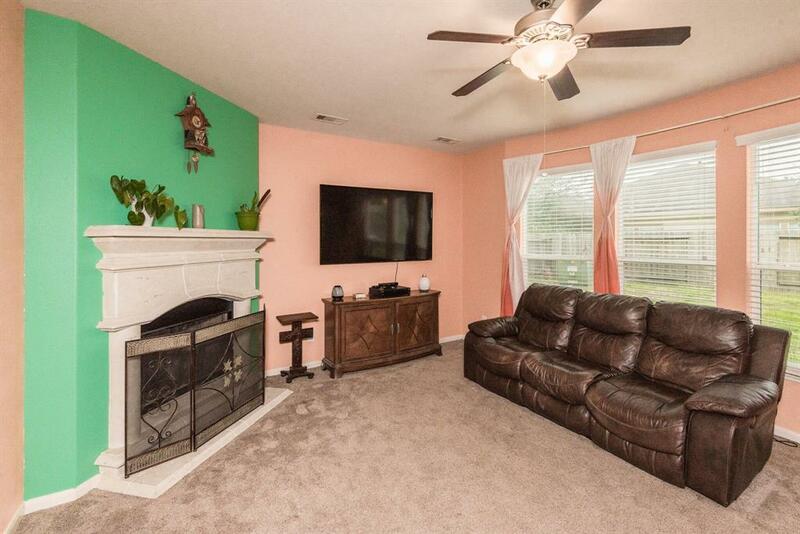 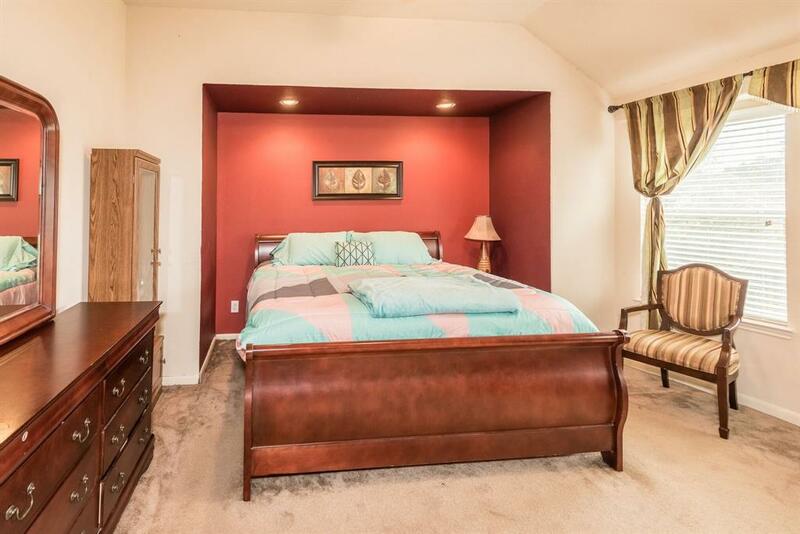 Master bath features double sinks, separate shower with five shower heads and jacuzzi tub; Study with french doors; Refrigerator, washer and dryer are negotiable with a reasonable offer; Water filtration will remain with home; Ceiling fans throughout home. 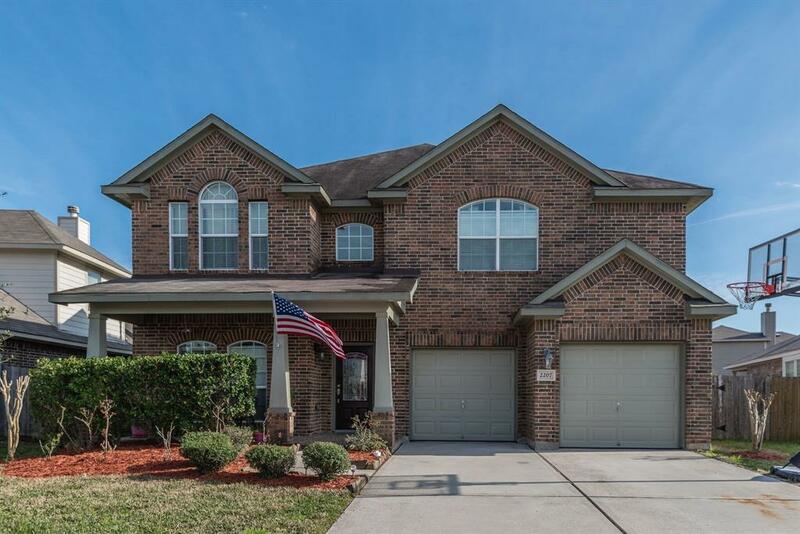 This home is located in a quiet and friendly community; No MUD taxes; Enjoy being located near the new shopping centers, brand new restaurants and only minutes away H-E-B and the new Krogers; Quick access to 45 and near Grand Central Park.